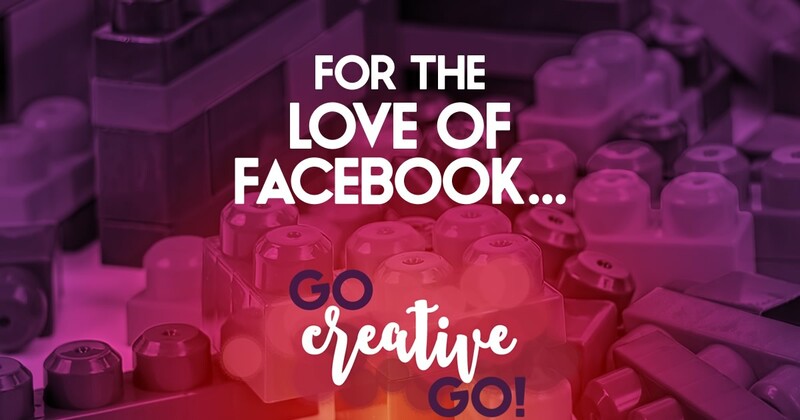 Facebook Archives - Go Creative Go! Dear Social Media Santa Claus … A Wishlist! 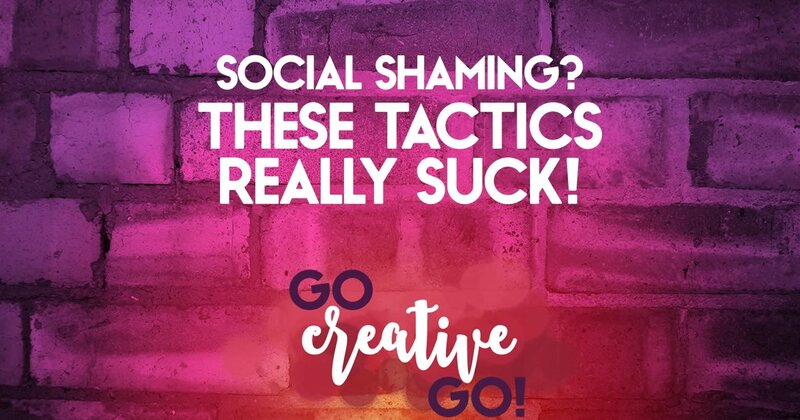 http://www.gocreativego.com/wp-content/uploads/2015/12/GCG-pinnable-smm-santa.jpg 1080 735 Mallie Hart http://www.gocreativego.com/wp-content/uploads/2016/07/GCG-sitelogo-new.png Mallie Hart2015-12-15 07:55:052016-08-24 21:06:09Dear Social Media Santa Claus ... A Wishlist! Once again I find myself ruefully shaking my head at the antics and atrocities perpetuated by many a member of numerous Facebook groups to which I currently belong. It’s bad enough that many a member fails to understand that self-promotion is generally a no-no, or scheduled for specific days of the week/month. But when members begin to believe that the group is their free online university and business resource refuge, it’s really time for admins to step up and shout out STOP IT! Brain Pickers Best Back Off! Facebook groups aren’t a “gimme” zone. They weren’t designed as a means for you to get your grubby hands on extreme expertise and carefully crafted documents we’ve put hours of energy and sweat equity into. What does that mean? Don’t ask group members to provide their carefully crafted contracts and client on-boarding documents to you as a “template.” More than likely we’ve spent time and money to create documents strategically suited to our brand and prospect base. Why would you think we’d provide that to you for free? Investing in your business and brand involves a hell of a lot more than you asking others to give you the goods as a gimme! When I see this happening in Facebook groups I’m reminded of the coffee or lunch date, which is a thinly veiled disguise for brain picking. You want my expertise? Pony up and pay for it! As a creative entrepreneur, I’m in many a group populated with a plethora of photographers, brand strategists, stylists (more on that sad term in a future publish), graphic artists and more. Many of these folks use some pretty sophisticated software and equipment in order to create their awesome products and services. It’s absolutely okay to ask group members what software and tools they recommend. It’s stepping over the line when you ask group member to share the specific settings they have developed over time and trial and error. Those aren’t yours for the asking, they’re yours for the testing. Paid for that fancy new camera and lens because you want to be a wedding photographer? I suggest you head out to a venue on an off day with some stand-ins and sort out your settings yourself. That’s expertise. You shouldn’t expect expertise to be handed to you on a platter. The same goes for code, site scripts, graphic design settings, etc. Someone put a lot of time and effort into the creation of that custom work. Why would you think they’d just give it away? Advice Is A-OK, But Group Audits? You’re Pushing It? As a web designer and developer, I often weigh in when the WordPress vs. Squarespace discussions comes up. And it comes up ALL THE TIME, LOL. I’m happy to talk up WordPress and why I think it makes the web wonderful. What I’m not willing to do? Engage in endless site design and redesign audits as a favor. Why not? Because that’s an expert service that I provide, for a fee. It’s not a freebie I give away in Facebook group grab bag fashion. I’m not a member of Facebook groups because I like to do individuals I barely know a favor. I’m there to engage in expert discussion, and sometimes to offer a bit of support when I can do so without giving away the store, so to speak. If you want to eventually collaborate with others, you need to bring your own expertise to the table, not continually ask for the expertise to be given to you as a freebie. You get what you put into it, what you invest in it, what you work to build, bolster, create and brand! 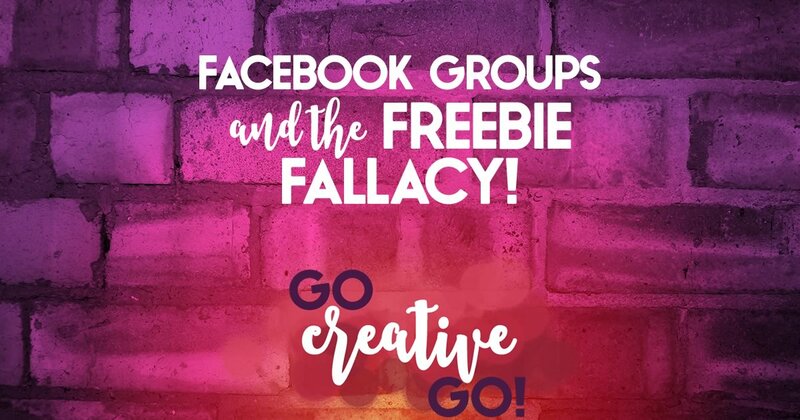 Facebook Groups Are NOT A Freebie Zone! I don’t take part in Facebook groups in order to give away my hard earned knowledge and expertise. I’m happy to occasionally share my .02 cents on a learning topic, but I’m not your teacher, your coach, your mentor. That’s a relationship that stretches the boundaries of the online group experience. If you’re there hoping to gain knowledge and expertise without having to invest dollars, time and sweat equity you just might find yourself disappointed. Consider this. The group members willing to give it all away for free are generally group members just starting out and hoping to get the good for free, too. It’s not the in-the-trenches entrepreneurs who’ve put in the hard time, tested the tools, tweaked the algorithms and sorted out the best settings. Those in the know, those who are truly experts only give away the smallest helping of their smarts and savvy. If you want the whole shebang, you’ll have to loosen the purse strings and shell out a little dough. Ever Feel Like You’re Giving It All Away In A Facebook Group? Why are you doing so? What are you expecting to get in return? When you’re giving it away for free, there’s little chance you’re going to land a paying client, is there? You have to imagine that title being delivered with every last possible ounce of frustration and foreboding. Like when you say “for the love of Pete” when you’re at your wits end! I think anyone who knows me even the littlest bit, knows this. I haven’t hidden my frustrations and my lack of love. But, while I think Facebook’s returns will only continue to diminish, even I have to admit there are still some returns to be gained, especially if you’ve already got a fairly established presence. I just haven’t been willing, up to now, to put in the time, effort and dollars necessary. That one might throw your for a loop, but let me explain. I’m a crazily picky eater. I’m the kind of girl that orders the same thing from a given restaurant because it’s the only menu item that doens’t include any of my NO WAY food phobias. I know, it is good for me. I even find it pleasant from time to time, but it’s just not my go-to choice when I’m rooting around in the fridge! I feel the same way about Facebook. I understand it’s absolutely got some digital marketing value and clout. I even have a little fun with it when I take the time to visit and interact with my friends. I even know it’s still a powerhouse for a couple of my clients. But, when it comes to my own business, it’s fallen to the very bottom of a very long social sharing list. I have to thank my husband for this header. He reminded me that spinach often gets stuck in your teeth and can be as annoying as all get out. Facebook, my “friend,” you too are quite annoying. You’ve become a fair weather friend, a fickle tween. You can’t make up your mind, constantly flittering from algorithm change to algorithm change. Your constant need to remain new, fresh and relevant is understandable. You want to retain your #1 spot, your hold on the title of social media juggernaut. Lackluster inclusion of both spinach and Facebook has been my own choice. But it’s one that’s been on my mind for a while. I struggle with anemia, so the added iron boost more spinach in my diet would add is certainly something to think about. And, as I work on creating a new information product based on visuals and visibility, the #VizVibe, I understand that I have to out Facebook and a concerted Facebook effort at the top of my social media marketing list. It’s all about how you incorporate the things that you know are a good idea, but just aren’t all that jazzed about. I love smoothies, so pulverizing a couple handfuls of spinach along with the berries, cucumber and other fruit and veggie goodness just makes sense. It’s the same with Facebook. Late last year I stated I was going to take a formulaic approach to Facebook. But I didn’t do so with any real intent and purpose. I wasn’t ready. Maybe that will make it harder to regain any small hold I once held on Facebook. But it allowed me to spend time on building followings on the platforms that matter more to me and my message, Twitter and Google+. Facebook, Like Spinach, Requires Proper Intake & Inclusion! Much as I know that adding more spinach to my diet will make my anemia symptoms easier to keep under control (FYI, that whole Mallie never sleeps thing is tied to it), I also know that carefully and consistently adding Facebook back into my digital marketing and social media sharing mix can only be good for me. Any “good for you” actions you plan to take in the future? Let’s hold each other accountable! … but if it ain’t working, it’s A-OK hunky dory to jettison that *%$#^@! I have a couple of clients for whom Facebook is still an absolute dream. Their reach and level of activity, or engagement, has seen no drop. They continue to steadily add new page likes and continue to see positive results in weekly Facebook reports. That’s certainly not the norm of late, when most marketers are seeing numbers continue to dwindle, especially since the calendar rolled over into 2015. My own, already less than impressive, Facebook functionality has continued to decline. Their content is targeted to a niche audience that can’t get that information anyplace else. There’s little duplicate content being shared, because the niche is so specific and targeted – so every post is an AHA moment, as that content hasn’t already been seen elsewhere. Both of the pages I’m referencing could be considered hobby pages. Each has an incredibly avid and sometimes volatile following. Passionate followers keep pages moving along, especially when discussion topics are shared. For those marketers managing pages of the same type, with the same continued result, I say hooray! And don’t do a ding-danged thing differently. 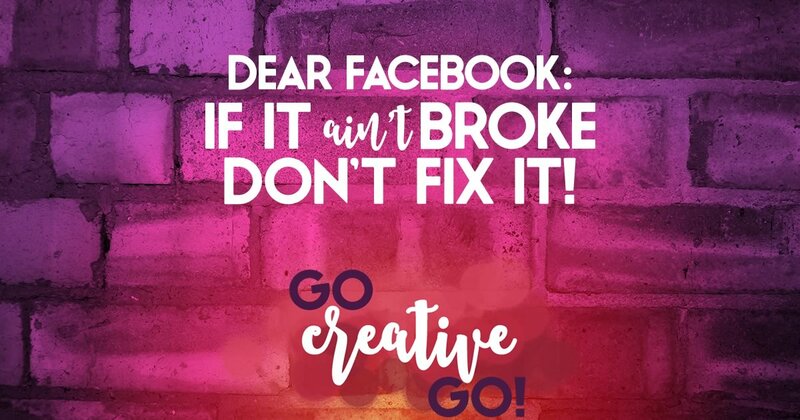 The old adage that things that aren’t broken need no fixing very aptly applies. But there’s another side to this story, one that many marketers and page owners are facing, and will continue to face as the year progresses. Dwindling numbers, rock-bottom reach and diminishing return on investment. What are those in that boat supposed to do? Hopefully you’ve never been one to put all of your eggs in one basket and you’ve been creating connections, engaging in conversation and building relationships on other platforms. Be it Twitter, Google+, Linkedin, what have you? I’ve been seeing increased activity and killer conversation in the new year, especially on Twitter and Google+. And if you haven’t spent much time elsewhere, it’s not too late. Get on board the Twitter train. Greet new connections on Google+. Finally devote that effort to Linkedin. It’s never smart to rely on only one piece of rented digital real estate. You could be evicted at any time. And the landlords are in it for themselves, not for you! This is what I’ve chosen to do. I’ll be following a strict, formulaic posting schedule for the next several months. If Facebook continues to drop as a referral source, I’ll drop the frequency of my formulaic posts. While I have any referral links from Facebook, I won’t drop it completely. But, I make no promises once those referrals dry up and blow away. Don’t Let The @$$holes Get You Down! I’m guessing you haven’t much changed your posting style and frequency all that much since you started on Facebook. I know I haven’t. I didn’t all of a sudden start posting multiple memes and monotonous, or moronic, motivational quotes. Any changes made were those touted by Facebook themselves or the very same Facebook “experts” that are now calling many of us out as whiners. It’s not whining to talk to your peers about what’s going on. It’s not whining to fess up and say you don’t have the budget to engage in daily post advertising or boosts. It’s reality, and if those experts don’t like your reality, then they’re not really anyone you need worry about in future. You’re no dummy, you’ve invested time and dollars in the real estate you own, your website and mailing list! You’re no dummy, you’ve built relationships elsewhere! Facebook isn’t the only social media hot spot in town! You’re no dummy. You’re not listening to the guilt trips of the Facebook fan club. It works for them … YIPPEE. For you, not so much, and that’s not that big a deal. Certainly nothing that’s going to fell your business. You’re no dummy, you know exactly what works when it comes to your marketing dollar and you’re not about to throw it away. You’ll invest advertising dollars where you see the most benefit. If you have to say goodbye to Facebook, it might be hard. You might feel a bit sad. But when one door closes, another opens. It might be time to see what’s behind door number two. What’s your plan of action when it comes to Facebook and 2015?